In collaboration with Malaysia Open Source Community (MOSCMY) and Malaysian Administrative Modernisation and Management Planning Unit (MAMPU) ,the Centre For Artificial Intelligence Technology (CAIT), a centre of excellence at the Faculty of Information Science and Technology, Universiti Kebangsaan Malaysia has organised THE 4TH INTERNATIONAL MULTI-CONFERENCE ON ARTIFICIAL INTELLIGENCE TECHNOLOGY (M-CAIT 2018). 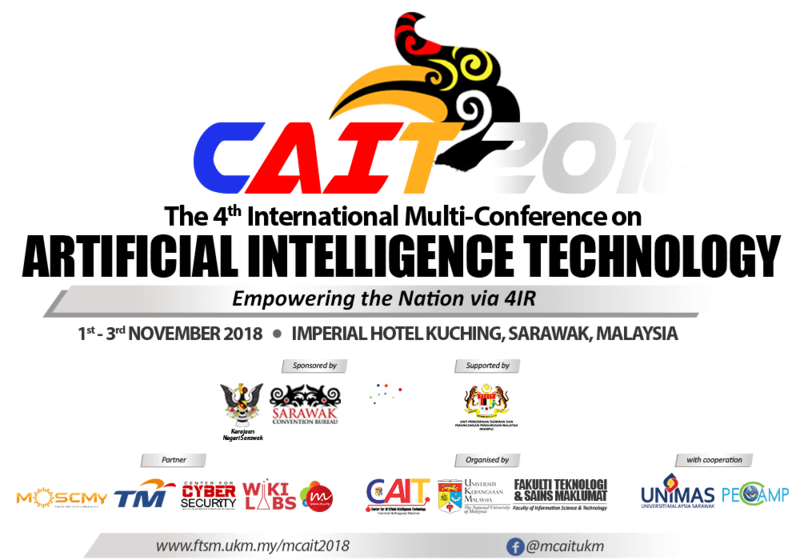 M- CAIT 2018 Conference takes place at Imperial Hotel, Kuching, Sarawak, Malaysia on 1st, 2nd & 3rd of November 2018. The conference covers wide ranges of the topic such as artificial intelligence, semantic technology, ICT solution to the industrial problem, computer vision, machine learning and etc. 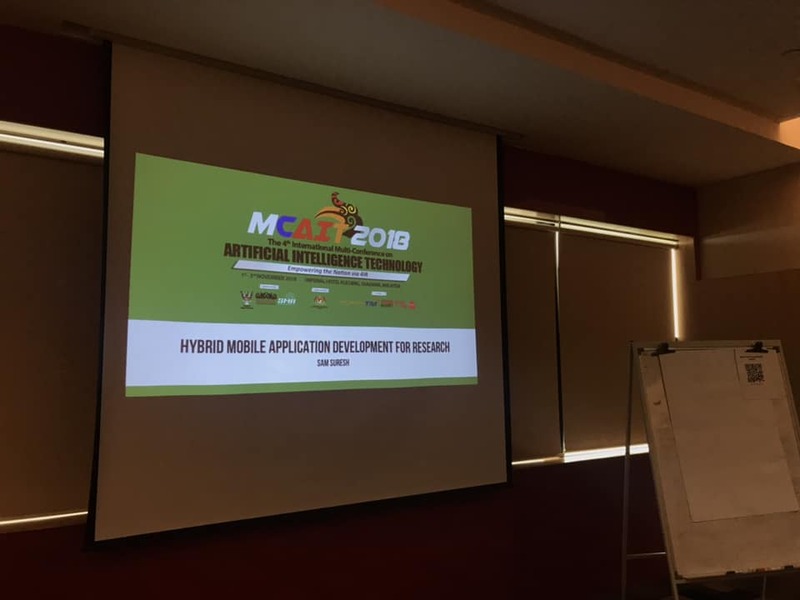 Our trainer Sam Suresh, also one of the M- CAIT 2018 Conference’s sponsor, speaks on Mobile Technology which entitled as Hybrid Mobile Application Development For Research. This is an overview of how to develop mobile apps for multiple platforms by using single codebase. Photos from MU DOT MY PLT facebook. Download brochures to learn more about M-CAIT 2018!